To begin with you will need to obtain plans. You can either do them yourself or purchase them yourself. When you are deciding how to proceed there are several ways that you can go. You can use a kit, buy plans and build from them or purchase the software and design them on your own. What option you select depends the amount of personalization you want to give your shed. Choosing the proper site is important. Consider zoning, direction of the sunlight, where the utility lines are located, etc. Once you have selected the site, clear the ground around the site and make the dirt smooth and level. You have several options. You could decide to place you shed directly on the ground or have a concrete pad poured over the area or dig out a foundation and fill it level with gravel. Whichever way you go do not neglect this step. Now you are ready to start framing the walls and building the shed. Your plans will provide an excellent guideline for measuring, cutting and framing each section. While you put everything together, take time to plan which features you want. What kind of door do you need? Do you want shelves or tables? A solid floor? Electricity? How many windows do you want and what type? The next step is to get your shed a roof. 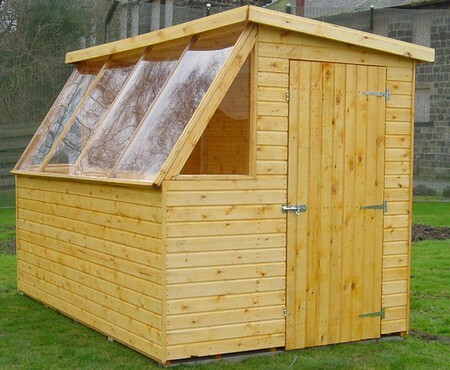 Depending on the size of the shed you can either build your roof in place or build it on the ground and lift it into place. In either case, make sure that your roof is securely fastened into place. Now, for the last step it is time to put on the finishing touches like paint and caulk, both of which are necessary to protect you shed and its contents from the weather. 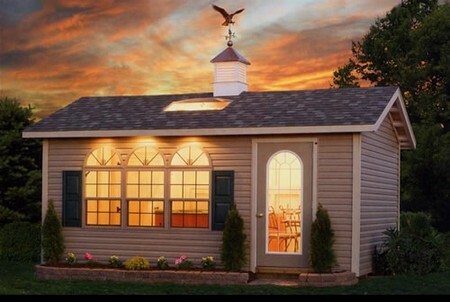 You can also paint your shed to complement your home. Now you have a basic idea of the steps needed to build your storage shed.